"This is a brown sugar pie!!!" In a large bowl, combine brown sugar, white sugar, flour, eggs, milk and vanilla. Beat until smooth. Mix in the melted butter. Pour filling into pie crust. Bake in the preheated oven for 35 to 40 minutes, or until filling is set. 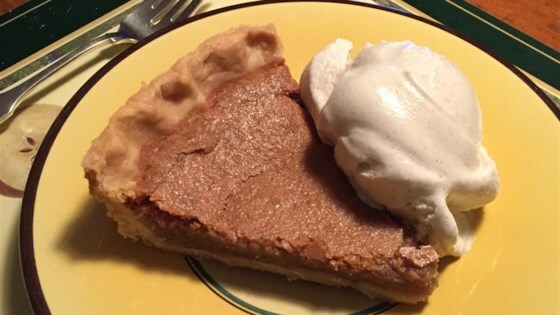 This pie is easy with common ingredients and the best pie I've ever tasted. I don't know why we haven't heard of it sooner!! Thanks Donna.